Those of us (all of us) dismayed by contuinued disturbing reports about catastrophic climate change can take some solace in a story reported this week in The New York Times. 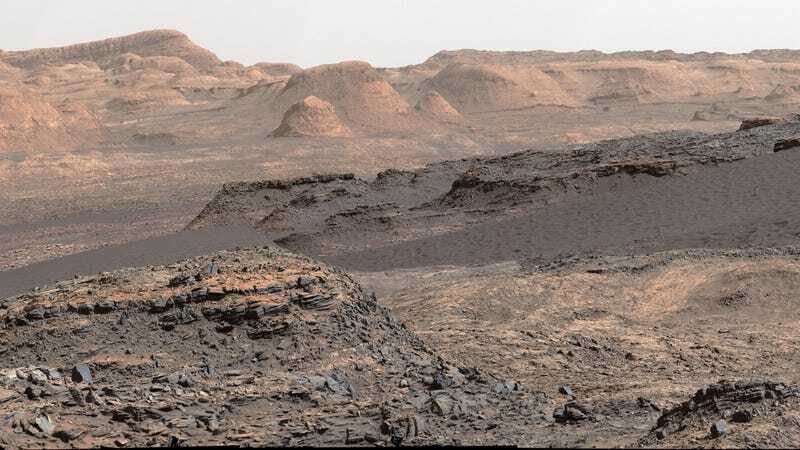 In a student project at Villanova University, a group of students replicated Mars’ soil conditions and discovered that several food items familiar to Earthlings could possibly take root there. Just like Matt Damon in movie comedy The Martian! The college students, being college students, were excited to see if the crucial beer ingredient hops would be possible on the Red Planet (yes), as well as weed (vetoed by the professor). But “for the most part, the students chose practical, nutritious plants like soy beans and kale in addition to potatoes. Some added herbs like basil and mint so that astronauts could enjoy more flavorful food on the solar system’s fourth world.” Mesclun, a small mix of salad greens, did “fabulous” in the faux Martian soil. The students found that other additives, like cardboard boxes and coffee grounds, also helped their Martian-based vegetables to thrive. The Times points out that the Villanova study aligns with the results of Netherlands scientist Wieger Wamelink, who “grew 14 types of plants including rye, tomatoes and carrots in Martian soil.” And since NASA reported this week that huge water deposits have been discovered all over the Red Planet, this is all just more evidence that colonization would be an actual possibility for future generations. Who apparently will be even able to enjoy a beer as they sit around on mountainous landscapes and laugh at how stupid and careless their ancestors were.